Our new blog series, “A Global Mindset: How 7 Standout Startups Navigate International Opportunity,” details the international journeys of leaders from some of today’s most exciting new companies. Each article showcases the profound effect of incorporating a global perspective into their work, even if they’re launching businesses in very rural parts of the world. Today we’re featuring Saumya Sahay, co-founder of Kheyti, a radical new agriculture startup providing critical resources for farmers in Southern India. 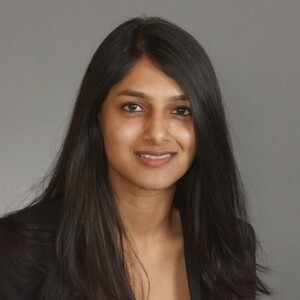 While based in Hyderabad, Kheyti came to fruition on American soil at the campus of Northwestern University. In this interview, Saumya discusses how her international experiences in the U.S. and Israel contributed to the development of Kheyti and its growth into other markets, as well as being a female entrepreneur in rural India. This is part 5 of 7 of our “A Global Mindset: How 7 Standout Startups Navigate International Opportunity” series. Check out part 5 with Jovana Rotula of Tietalent. Tell us a bit about Kheyti. Kheyti is a nonprofit based in India and we work in the southern part of India near Hyderabad. Our main focus is to make small farmers more climate resilient. Climate changes heavily impact the farmers and every season they’re unable to predict their income. Reasons range from lack of rain, excess heat or insect attack, but there's no predictability. That’s the problem we wanted to solve. How can we make agricultural income more like a job so that these farmers can know what they’ll be earning as well as have a more sustainable income? We do this through a greenhouse in a box. It's a small local greenhouse that we provide to the farmers and bundle it with end-to-end services like financing to buy the greenhouse, financing to purchase seeds, training, and then reconnecting them to the market where they can sell to retailers. You received your MBA from Northwestern. In what ways has your education played a part in building Kheyti? If I hadn't attended Northwestern I don’t think Kheyti would be at the place we are today. I actually started Kheyti three months before going to school and joined The Kellogg Business School in August of 2015. My time there was very formative, and I spent most of business school fine-tuning the idea, raising funds, and building partnerships. One of our advisors is a professor I met at Kellogg so it’s been an ongoing relationship with my school. Even today, they’re our biggest cheerleaders. At what point did you realize Kheyti was more than just an idea and had the potential for something greater? Wharton had a startup competition which we participated in during January 2016. We won a People’s Choice Award and through that I was able to find a professor to back us at Kellogg. He told me to forget all my internships and stated that this was an idea he believed in, and that I should continue to work on. So I went back to India for three months and continued to work on it. Since winning the award at Wharton, we experienced this domino effect where we kept winning all the competitions we applied to. At this point, we had a lot of support and spent a year prototype testing. We launched our pilot to farmers in 2017, and it was this point we realized the actual potential. How did you discover MassChallenge and what pushed you to apply to their Israel program? My co-founder and I were both based in the US at the time. He was in New York when he heard about the program in Boston which was already large out there. Being in business school, we received the first $200,000 of our funding through competitions so we were aware of the common accelerator programs. After graduating, I knew I’d head back to India, but had always wanted to return to Israel. I had spent some time there the previous year before MassChallenge started and was impressed with the connections I made in just two weeks. For me, it just made perfect sense. 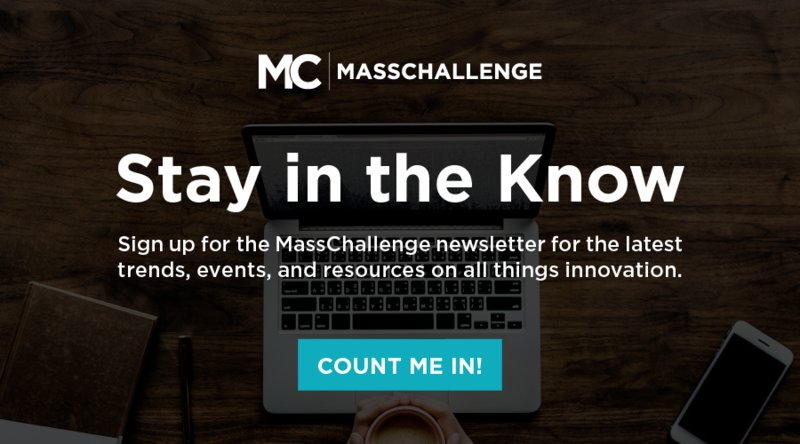 Since participating MassChallenge, how has your startup changed or developed? The agricultural ecosystem was so robust in Israel, it helped us get a lot of partnerships. The greenhouse that we have today came out of my time in Israel though MassChallenge. They're an Israeli greenhouse manufacturer and have helped us supply over 200 greenhouses. In addition to winning the final cash prize, we were exposed to a lot of other Israeli startups that gave us ideas on how to deliver other services that we were looking to deliver to the farmers. Would you say your experiences in India, America, and Israel have benefitted Kheyti? Yes, definitely. Our network is now across the globe. I know people doing different forms of agriculture services in the US, Mexico, Israel and all over. I’ve also learned so much from other startups that are working with farmers or in a similar space. We are in touch with all of them and thankfully everyone is extremely collaborative. There's so much knowledge out there and having access to all those networks has been tremendously helpful to us. Can you speak about your experiences as a female entrepreneur in India? I work in rural India so there are barely any people. Today we are a group of 20 employees and I am the only woman in the company. Forget entrepreneurship, even at the employee level it’s hard to get people working in agriculture. The life is not going to the office, it’s actually being in the field and working with the farmers, and making sure things happen properly. So in that sense, yes it is a lonely journey, but I’m happy to spread the word so we can get more women in this space. The good thing is while I was growing up, I was always used to this drastic male:female ratio so now, it’s no longer a surprise. My co-founders are more cognizant, but once in a while they also forget. I have to make sure my voice is heard in meetings, but they try. In regards to the other employees, because you’re a woman, they won't reach out to you immediately. They’ll go to my other co-founders to share something rather than coming to me, a woman. There is definitely a lot more effort that needs to be put into gaining their trust because it's not natural for them. And for a lot of them, Kheyti is the first professional position they’ve had because most of them are from rural India and haven't had structured jobs before. For a lot the technical people we’ve hired, I’ve noticed this often but they feel like ‘why is a woman telling me what to do especially a much younger woman at that?’ but because my co-founders are very supportive and make sure we don’t have tolerance for people who don’t respect women, I haven’t faced many issues. I won’t say it’s been a smooth road, but it’s definitely getting better. Any advice for other women looking to start their own ventures/startups? My advice is women should go for it. Everyone is just waiting for that role model. Take my company for example, we’ve offered over 5 women positions, but they’ve all declined because they wish to work with other women. There’s always this vicious cycle where you need that first person to set the example and it takes a lot to be that first person. Secondly, when someone belittles you for being a woman, realize it’s not about you it's about the way they were raised. It's more about walking the talk and proving that you can deliver the things you’re in the position to do. But also, letting go of that barrier and getting to know the people. That’s something I’m still learning to do, but it makes working with people easier. Kheyti is now focused on the Indian market. Do you foresee it being used elsewhere? Definitely. We see farmers in Nairobi, Asia, and the Indian Subcontinent that have similar problems that we can offer solutions to. Currently, we’re in one state in India trying to perfect the recipe, and then we’d love to scale it. Customization is needed. The moment we move out to a second state in India we will have to modify something in the product or the services. And the problems that are in India versus in Africa are quite different so we’d have to cater to that. Be sure to check out our other 6 interview in our series “A Global Mindset: How 7 Standout Startups Navigate International Opportunity”.